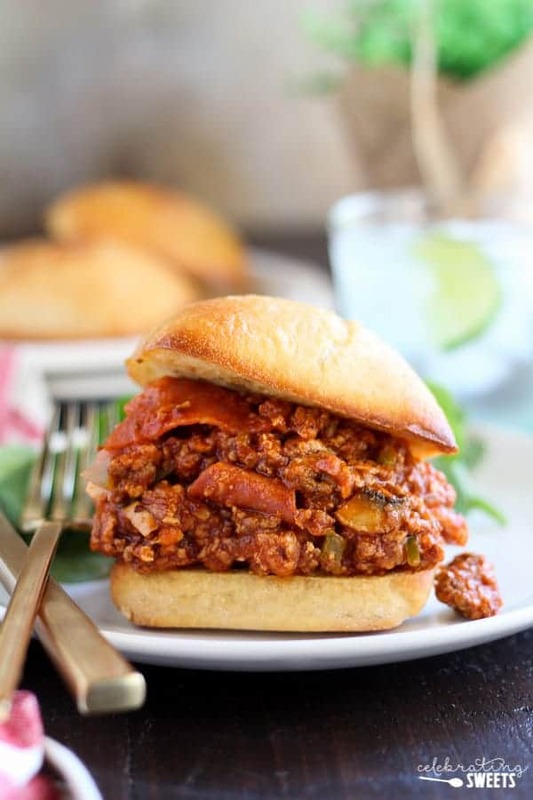 Pizza Sloppy Joes – Sloppy Joes filled with your favorite pizza toppings (pepperoni, sausage, mushrooms, peppers, cheese, etc.) all piled high on a garlic bread roll. 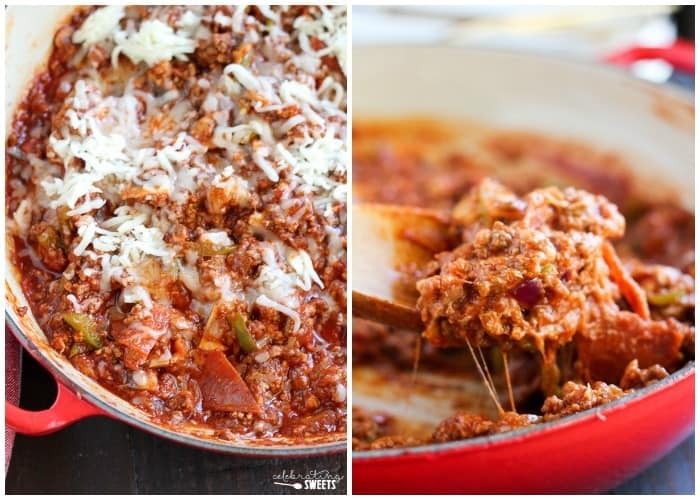 A hearty and satisfying meal for game day or any night of the week! Sloppy Joes meet pizza. And yes, it’s all that you thought it would be. Hello perfect game day meal. Hello perfect weeknight meal. Hello perfect fall/winter comfort food meal. We spent the summer eating salads so that we could spend the next several months eating food that will stick to our hips ribs. Let’s do this! 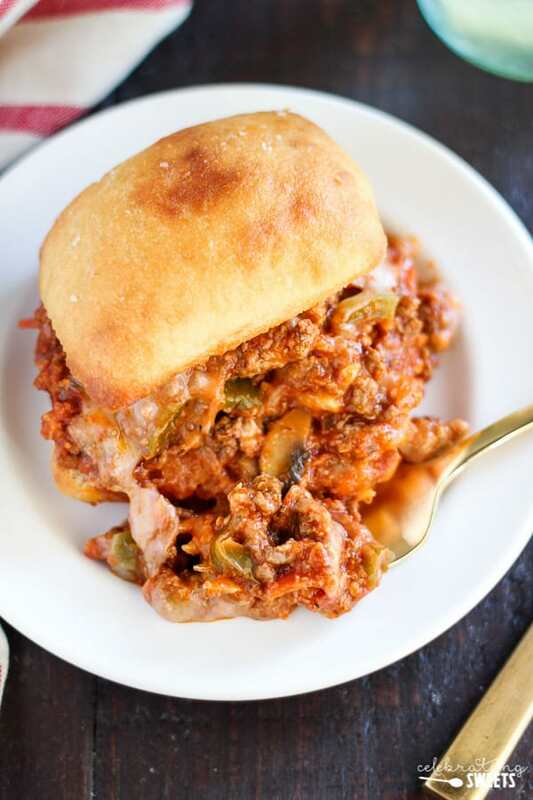 You might be wondering what makes these Sloppy Joes taste like pizza? Several things: A combination of ground beef, Italian sausage, and pepperoni, a mixture of your favorite pizza veggies (I used sauteed red onion, green bell pepper, and mushrooms), a generous sprinkling of mozzarella cheese, and a bun that tastes like garlic bread. I know. It’s almost too good! 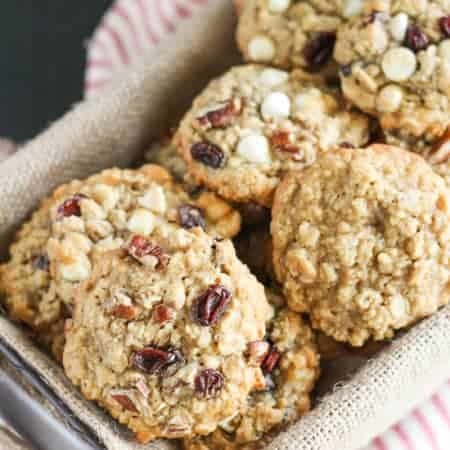 One of the great things about this recipe is that it’s super adaptable. Use my recipe as a guide and swap around the ingredients using your favorite pizza toppings. Leave out some veggies, add extra cheese, double the pepperoni… make ’em the way that you want ’em! You can opt to stir the cheese into the meat mixture before scooping it onto your rolls (see above), or you can melt the cheese right onto each sandwich (see below). Decisions, decisions… (I might have done both). Now invite over some friends, gather your family around the table (or couch if it’s game day!) and dig into this hearty and cozy meal. 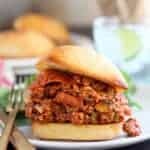 Sloppy Joes filled with your favorite pizza toppings (pepperoni, sausage, mushrooms, peppers, cheese, etc.) all piled high on a garlic bread roll. A hearty and satisfying meal for game day or any night of the week! Preheat oven to 375°F. Combine olive oil, butter, garlic and salt. Brush the top and bottom of each roll with the garlic butter and place on a baking sheet in the oven. Bake for about 8-10 minutes, flipping once, until toasted and golden brown. In a large skillet or saucepan, heat olive oil over medium-high heat. Add ground beef and sausage and cook until browned, breaking it apart as it cooks. Add onion, bell pepper, mushrooms and garlic and cook, stirring occasionally, until the vegetables are tender, about 5-7 minutes. Add pepperoni, pizza sauce, ketchup, and water and stir to combine. Cover the pan lightly with foil and reduce heat to a simmer. Simmer, stirring occasionally, for 10 minutes. Add more water, if needed. Taste and add salt and pepper if needed (I did not add salt to mine). Sprinkle mozzarella over the top and stir it in to melt, or sprinkle the cheese onto each sandwich. Pile the meat onto the garlic bread and serve immediately. 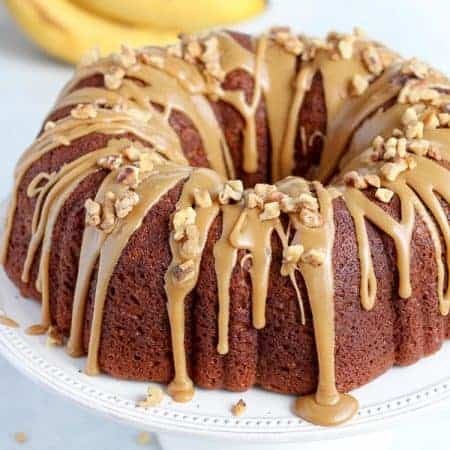 OH MYYYYYY… another recipe to my MUST try list this month. YUM YUM.. Thanks for sharing. Yum! It looks and sounds delicious, the garlic bread rolls win me over 🙂 I definitely pinned this to make soon! Holy wow! 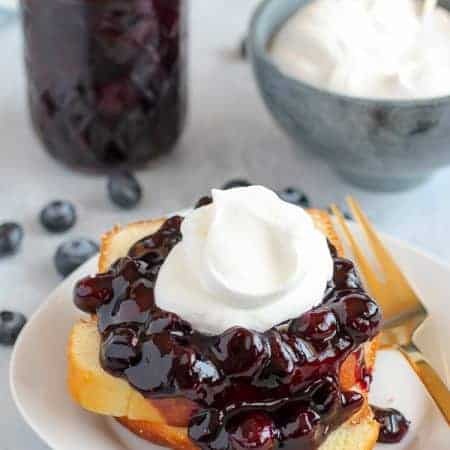 This is a must-make! I am adding this to the dinner rotation and pinning for later! This seems like two worlds that I could definitely live in! Sloppy joes are great and pizza is basically the world’s most perfect food, so how could you go wrong? Wow, these are some complex flavours you are building on in you sloppy joe! LOVE the sound of using garlic bread rolls to take this classic comfort food to the next level! What a delicious meal for game day – and in fact any other day! I love that you served on garlic bread rolls, a deliciously inspired idea! 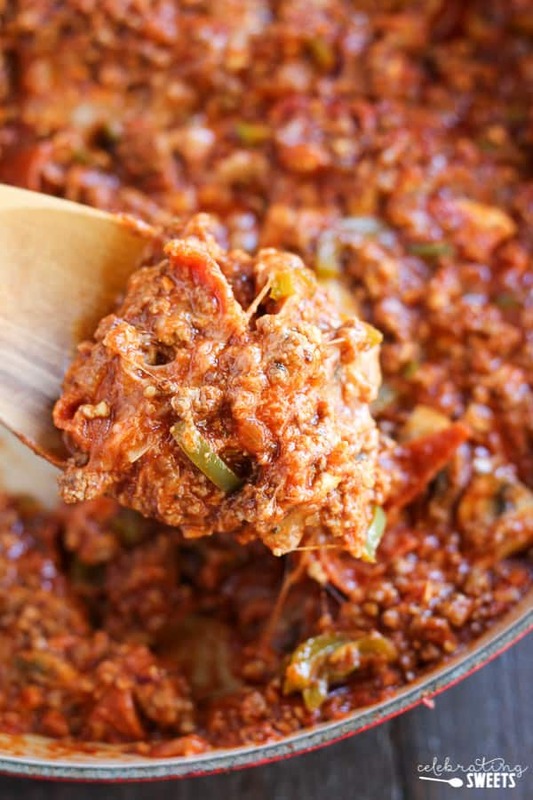 Pizza and sloppy joes in one dish! This is a kids dream right here! Secretly mine too! Any idea how many ounces the mushrooms would be equivalent to, so that I could buy sliced? Or if the recipes calls for whole mushrooms, which kind? I just have never purchased whole mushrooms so I’m unsure what to get. I probably cut each mushroom into about 4 slices, so approximately 20 mushroom slices total. One 8oz package should be more than enough.